NASA scientists believe that their New Horizons spacecraft can actually see the glowing hydrogen wall that seems to be located at the edge of our system. The wall is the outer boundary of our system and it is the place where the sun’s bubble of solar wind ends. Moreover, it’s where a mass of interstellar matter that is too small to bust through that wind build up and presses inward. A visible boundary forms there, and while on one side of it there are the last vestiges of solar wind, on the other one there’s a buildup of interstellar matter that also includes hydrogen. Now NASA is sure that New Horizons which also skimmed past Pluto in 2015 can see that boundary. New Horizons spotted some extra ultraviolet light, the kind that researchers would expect to be produced by a galactic hydrogen wall. Even so, researchers say that the signal is not a sure sign that New Horizons has actually seen a hydrogen wall. All the probes could have actually detected the ultraviolet light from another source. 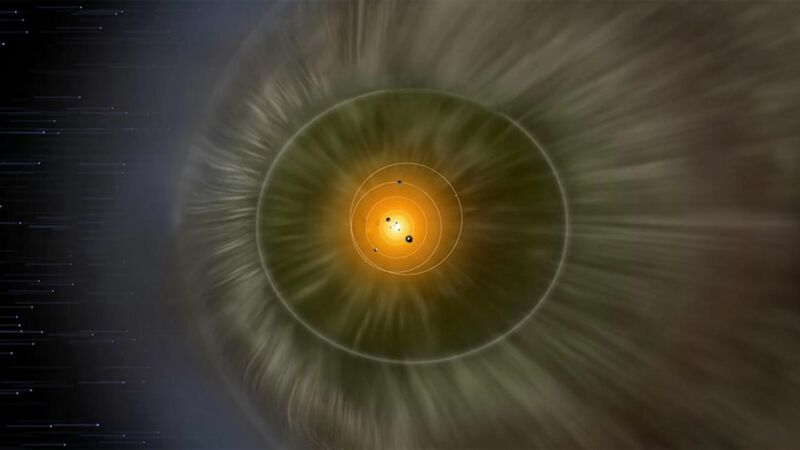 But then again, Alice – the instrument that spotted the wall – is more sensitive than anything that the Voyagers had on board before starting their journey out of the solar system.